Sometimes seemingly random events happen at just the right time, all on their own. 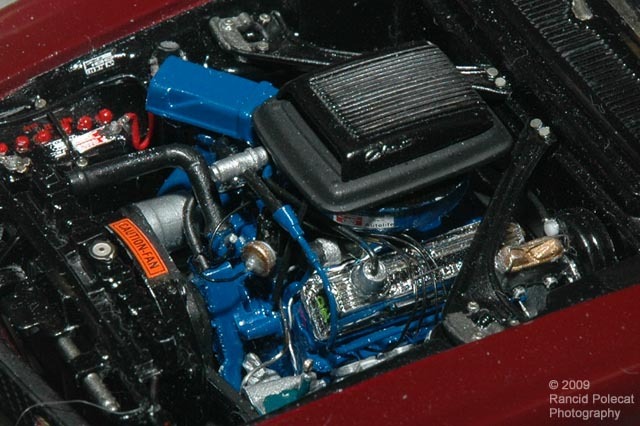 As Ron was starting in on this project, his favorite Mustang magazine arrived in the mail with a highly-detailed photo of a 428 Cobra Jet engine filling the cover and a good article on the engine with plenty of reference photos. He put those references to good use, scratchbuilding all the appropriate dip sticks and adding Detail Master battery hardware and engine details.